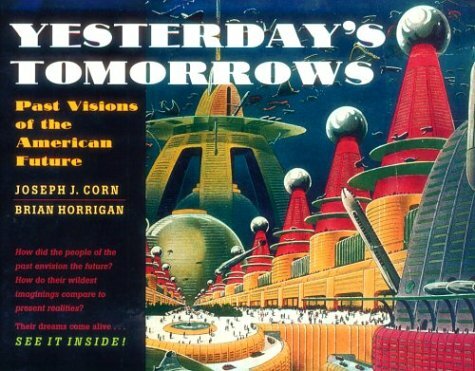 Hugo Gernsback wrote a syndicated piece in 1925 that imagined the world of 1975. It appeared in the February 8th edition of the San Antonio Light (San Antonio, TX) and has an interesting mix of hits and misses. Highlights from the article are excerpted below. You can read the piece in its entirety here. The chances are that if someone runs across this fifty years from now, he will severely condemn the writer of this for his great lack of imagination, for, no matter how wild the predictions may seem now, they will look very tame fifty years hence. If someone had tried to explain radio to you fifty years ago, or the X-ray, or radium, he would have been put down as ripe for the insane asylum, and you may rest assured that we are no different today. Movies by radio! Why not? You will be able to have a moving picture produced in some central plant and projected in your home, on your yacht, or on your camping trip, the picture being sent by radio, and received and projected upon your screen. All this is perfectly possible. By , we shall be able to send all sorts of materials by radio. If you think that it is impossible to transmit a carload of coal thousands of miles, you need only go back less than fifty years, when it would have been thought equally impossible to have the street cars of Syracuse, N.Y., run by the power generated by Niagara Falls. Today no one thinks anything of this. Each pedestrian will roll on electric skates, such as have been constructed even today. An insulated wire running from the skate to the head or shoulder of the skater will be sufficient to take the power from the radio power line, and we shall then all be propelled electrically at a pace at least four or five times as fast as we walk today. All of our buildings and houses are due for a great revolution. In the Wintertime all of our buildings will be warm, and in the Summertime they will be cool. The future buildings and house will be fashioned along the principle of a thermos bottle. Each wall will be double, and the space between the walls will be filled with cork or some other poor heat conductor. The tops of our tallest buildings will be flat and glass-covered. They will have airplane landing platforms on which all kinds of airplanes, or even the trans-Atlantic planes of the future will land. Our large office buildings, or, for that matter, private houses, will have real gardens with large trees on top of the roofs, as has already been tried experimentally with smaller plants in some of our large cities. Not only that, but plant life will also be greatly stimulated as recent high frequency experiments on plants have shown. Our crops and plants will grow practically two to ten times as quickly and the crops will be more productive under this electrification. Under such stimulation it will be quite possible to raise crops at least twice or perhaps more often during the year; and the most interesting part about this is that it will cost the farmer absolutely nothing except for fertilizer. And this he requires anyway. Below the elevated railway we have continuous moving platforms. There will be three such moving platforms alongside of each other. The first platform will move only a few miles per hour, the second at eight or ten miles per hour, and the third at twelve or fifteen miles per hour. You step upon the slowest moving one from terra firma and move to the faster ones and take your seat. Then arriving at your station, you can either take the lift to the top platform or else you can get off upon the "elevated level" and take the fast train there. which stops only every thirty or forty blocks. Or, if you do not wish this, you can descent by the same elevator down to the local subway.